When you think about creating a domain you want to ensure that the name you choose is going to be related to your website. Many people make the mistakes of creating a domain name and what platform to choose from. Well, I am here to help you, so you don’t make that mistake. I need your undivided attention for just about 10 minutes, so I can get you started the right way. Here are some topics I am going to discuss in this article, you can choose to jump into one that’s more relevant to you by clicking on the link. Or you can just read through to receive the full level of understanding. A domain is going to be your websites name it’s typically typed as an URL into your web browser to search for your site’s documents. Your domain name should quickly distinguish what your website is going to be about and what you will have to offer. Everything that we do in computers is a combination of codes, numbers, and symbols which is why there’s always a hypertext link “HTTP” before your domain name when inputting it into your web browser. Choosing a domain extension is not that difficult to think about, keep in mind the direction of your business and what audience you’re trying impact. If you have a nonprofit organization then considering using is a .org if it’s for personal or business .com is the way to go since it’s the most common and widely used. Some sample extensions are going to be com,.org,.net,.info etc. Make sure that the domain is not already being used and isn’t copyright of any sort since that can cause unnecessary legal actions. Many platforms allow you to see if a domain name is registered such as GoDaddy, Google Domains, 1and 1, etc. Usually, the way it would work is you type in your ideal domain name and if it’s already taken you would instantly get notified with other recommendations on new domain names. For my websites, I acquire my domain names directly from the Wealthy Affiliate platform since they also have to host, WordPress tutorials including live chat 24/7 all in one so it’s easier for me to manage. And Another personal favorite of mine that I recommend to my clients for a single website is Bluehost. You can register your domain name with several different companies. Usually where you end up purchasing your domain name has the option of other services like hosting or SSL. Go Daddy is probably the largest domain company out there servicing over 14 million people. The company was founded in 1997 and since then have grown where you are also able to create your website from their platform. The company also offers web building services free for the first three months which is powered by WordPress. If you aren’t familiar with WordPress is one of the strongest web builders out there to date. In addition to web building, GoDaddy also offers to host services as well as SSL certification (secured socket layer) that alone will cost you $149 the year. You have the option of SEO which (search engine optimization) this helps to increase the quantity of your traffic through search engines. As you can see on the GoDaddy screen has all the menus related to what the company offers. 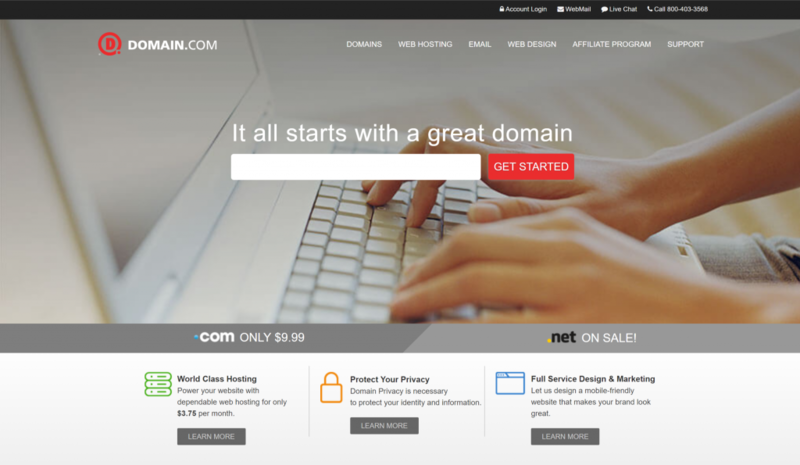 Domain.com was founded in 2000, known for their high-quality products and customer service. The company claims to be one of the top companies for domain registration. Domain.com also offers web hosting which starts at $3.75 -$13.75 a month for Linux operating systems this does not include SSL, SEO. For those of you who aren’t familiar with Linux is an open source operating system that is being used by major IT companies. It is actually good to get into Linux if you are interested in coding because so many companies are always hiring for Linux developers. Another hosting service that they use is Windows I know everyone is familiar with Windows the price for this starts at $4.75-$14.75 a month again doesn’t include SEO or SSL. Domain.com also offers their own web builder which is easy to use very similar to WIX. Ok, let me discuss briefly on what is a subdomain name is vs. a domain name. So a subdomain is usually offered for free to help to hosting companies gain some exposure on their platform and or services. For example when I created this website the domain name was icomputernerd.siterubix.com which is the what the Wealthy Affiliate platform uses. I since then secured a domain by purchasing my site can be chasing one so this way I can add an SSL license. An SSL license secures and encrypts your website of any information that is provided such as credit cards, names, and phone numbers, etc. What you can do is when you are ready to provide services you can purchase your domain otherwise a free subdomain is an option for individuals just exploring their options. Some companies allow you to create a domain name for free, but just like any platform, they offer different options such as paid hosting, etc. I know that WordPress offers a free subdomain for those still in that stage of exploring. 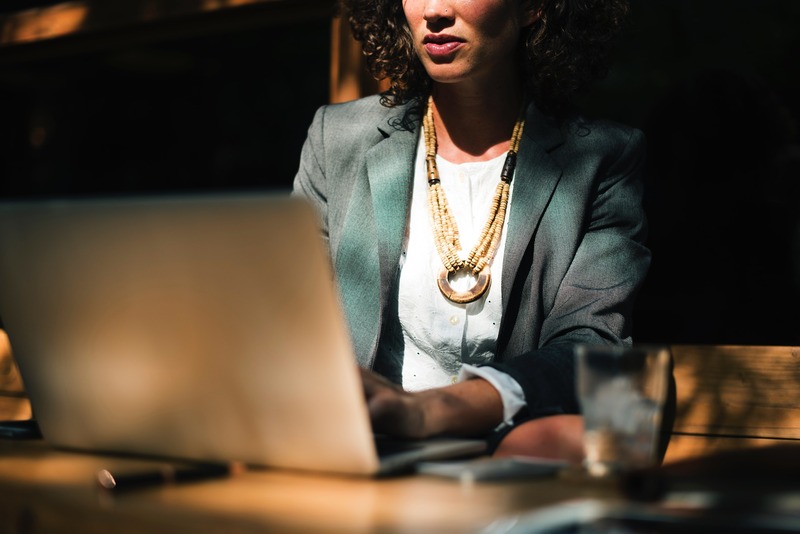 Here are some of the benefits of the hosting that I use with Wealthy affiliate now this is just my recommendation, but you can choose who you want. I like that as a marketer and freelancer I can create multiple sites for a set price. Try out all the free platforms because this is going to help you make an educated decision as to what you are looking to do. What I mean by that is use all the educational resources that are available to you for free. I have used BlueHost as well for many of my clients because that’s what they prefer in terms of hosting and choosing a domain name directly from the platform. This is good if you’re on a budget and just starting out but eventually for more of a professional site you want to pay for the services. Not ready to purchase a domain name? No problem you don’t necessarily have to purchase a domain name if you are unsure and just starting out. So if you’re looking to start a site and create a domain name remember the steps you have to take when choosing a domain name and compare prices. I hope this information has helped and gave you more confidence in your quest for your online journey. And if I didn’t then please comment below and I will be more than happy to answer any of your questions. Nice domain summary. I find it’s a bad idea to use hyphens in domain names though. Visitors have been “trained” into thinking that domain names have no hyphens, so if your domain uses them, a visitor could type the domain name minus the hyphens into their browser. And that might be a valid address for a competing site! NameCheap is another domain registrar I use these days. Their prices are usually a little less than GoDaddy’s. This is good information, you really have to put some though into it, I created a site some years ago, and the domain name was way to long hard and hard to remember. I wish I had this information back then! A great publication for those wanting to start a home business online. You go into detail that is very helpful and informative, which is exactly what a start-up needs. I am sure all will thank you for sharing.